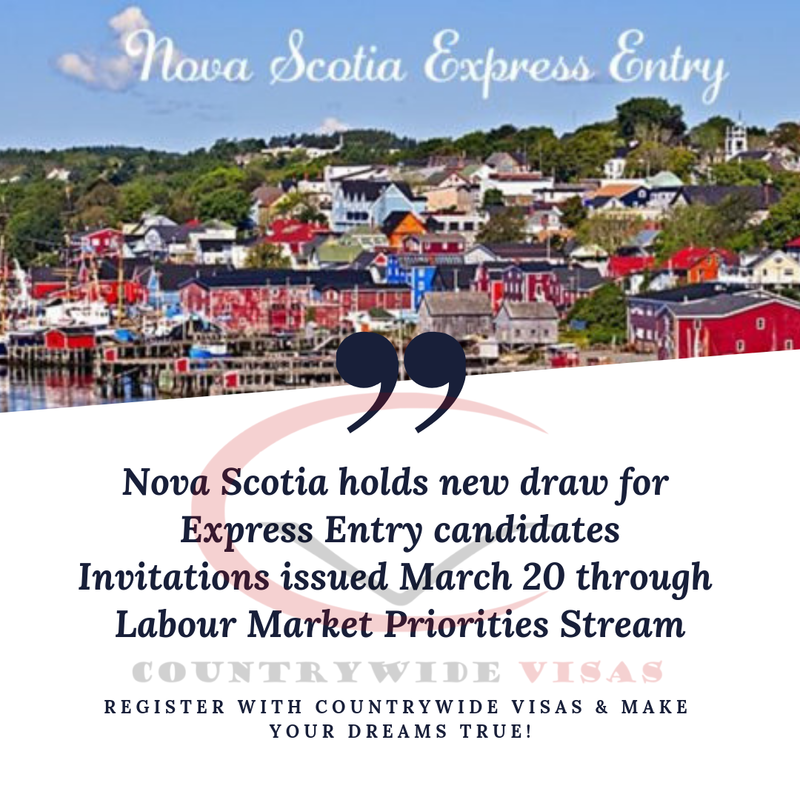 On March 20, 2019, Nova Scotia issued invites to Express Entry Candidates for nomination for Canadian PR through its most popular Labor Market Priorities immigration stream. The stream targets applications from Federal Express Entry Program to meet high-demands of labor or other skills in the market of the province. In general, only 3-4 % population of Nova Scotia list French as their mother tongue so, the draw on March 20 was held to mark the 32nd International Day of La Francophonie. In this draw, invitations went to only those eligible Express Entry Candidates, having French as their first official language. A minimum of Canadian Language Benchmark (CLB) level 7 in all French abilities including writing, reading, speaking and reading as well as CLB level 5 in all four English abilities is necessary to become eligible for an invite. Along with invites, Nova Scotia also launched its new Francophone Immigration Action Plan to encourage more francophone immigration to the province. This plan targets immigration of French-speaking individuals from different parts of the world to Nova Scotia as well as their retention and integration by providing services and support. So, all those who have registered in Express Entry and received the letter of interest, need to submit a complete application for a provincial nomination from Nova Scotia. Also, on getting the provincial nomination, an additional 600 points get added in the Express Entry score. For complete information, contact experts of countrywide visas. Countrywide visas is one of the fastest growing Immigration consultancies with a large, devoted team of Immigration experts offers hassle-free and professional services to its clients for filing their applications for various immigration programs.